Heres julys scrapagogo lo using blonde moments suet pudding range, i loved doing this page, but i feel i need to try a new angle! 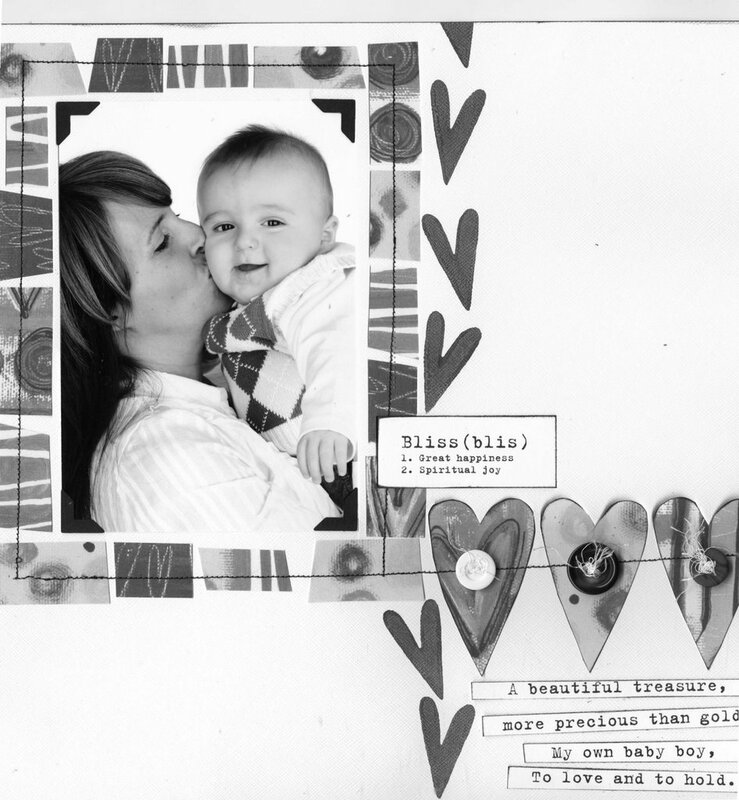 I want more info and more photos, i did buy the new clean and simple scrapbooking and i love it the pages mean so much! Ive brought freestyle also but although the pages are awsome im not feeling it! im too much a clean lines person! I gonna have ago , ill let you know how i get on! We are house hunting at the mo, God its so tough! weve viewed about seven houses some are beautiful some are not so but theres always something not quite right! i suppose one will come with time , So i am going to celebrate my house i live in right now because it has been good to us and my babies love it by taking some groovy pics and uploading for all to see! (got to do the housework first though!!! what a stunning layout.. I absolutely love it!!! I love how not only the picture but the paper is all b&w. Amazing job! its so gorgeous!! i saw those papaers and though.. what could i do with those… you’ve used them amazingly! I love your layout! It’s awesome!